Imagine getting in to an Uber autonomous car, your phone sensing it’s location and downloading all of your preferences over 5G to the music system, the TV on board and the sat nav, so you don’t even need to select the destination you want to travel to – it’s done for you. Your phone automatically searches for the cheapest cellular data rate and picks up a deal for 2 hours of unlimited data use for $1 from a phone company you’ve never heard of but which resells a satisfactory network you’ve used before. Since the charge is less than $5, you’ve authorized the transaction tacitly, previously, through settings. All of this happens as you put your foot in the car and it required no conscious thought on your part. We are on the verge of stepping in to a totally new world of technology. With little to no action required on the part of the normal consumer, the way assets in the real world behave is going to change in the next half decade. Three factors will overlap to deliver the effect and the ball has started rolling on each of them already. The eSIM: An embedded SIM to replace the physical SIM which has been part of your phone for the last 25 years. The Internet Of Things: Cheap sensors built-in to physical assets like parking meters and trains. 5G: 5G, the fifth generation of mobile data technology will be in market by 2020. It offers data speeds up to 10 times faster than the state of the art in fiber fixed broadband state of the art. Together, these technologies will interact to make connecting to phone companies much easier, moving between them trivial and remote access to the cloud, ubiquitous and fundamental to the way problems are solved. 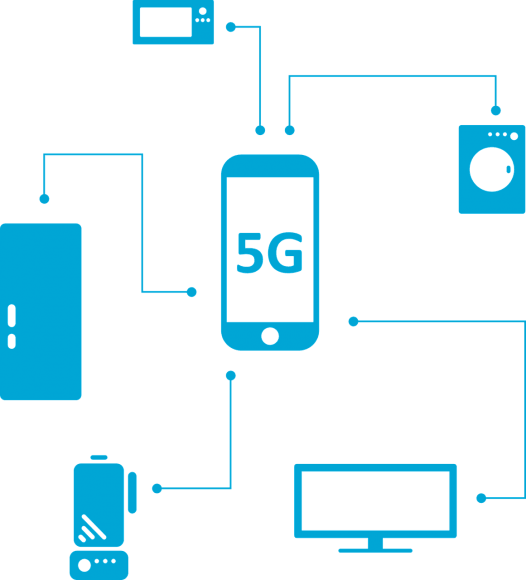 Cheaper phones: The immense bandwidth capabilities of 5G connections will negate the need to keep anything more than a minimum of information on your phone. That will reduce the cost of the hardware required to build your device and increase the amount you transact over wireless networks. Phone plan components bought from multiple sources: The eSIM allows users to adopt multiple parallel profiles – the equivalent of a modern day phone which has several SIMs from different operators installed at once. First tens, then hundreds of connected devices: Gartner estimate 20 billion devices connected to the internet by 2025. Of those, approximately 15% will have a cellular data connection, 70% of which will be held by consumers like you and me, again driving the use of cellular data. Much more stored in the cloud: Hundreds of millions of devices connected to the internet will offer information about problems we’ve never considered before. Sheep, children, ferries and expensive bottles of wine will all be available on the internet. Hundreds of pieces of information about each of them will be tracked constantly, the data files for future study. Smarter ‘things’ : We will shortly see smart buildings, smart cities, smart farms and different forms of smart businesses appear. Costs will be lowered as unnecessary capacity is eliminated and small efficiencies are generated. Traffic will flow smoother, integrated with streetlights which turn off when no one is around. Whole floors of buildings will be sublet as managers realize their staff work from home so often, they can economize on the number of workspaces they rent. Farmers will use less fertilizer, overlaying the output of a field in last year’s crop with the ground’s natural fertility, adding artificial fertilizer only where it is required. Perhaps the most remarkable aspect of the situation is how little coverage it gets in the press. These fundamental changes will happen alongside the burgeoning field of Artificial Intelligence (AI) : a facility which is now being built in to phones as well as provided in almost all of our products from chatbots to AirBnB recommendations. It will be AI which helps us navigate and interpret the vast amounts of data that this slicker flow of devices, data and wireless connections produce. We are about to embark on one of the most prosperous periods in all of human history but warning signs are already clear. We already live in times of rising income inequality. For the overlap of these technologies to be a good thing, and not an accentuation of the inequality that is currently in place, the government will have to think quickly about the right policy settings to adapt our systems to the tsunami which is coming.